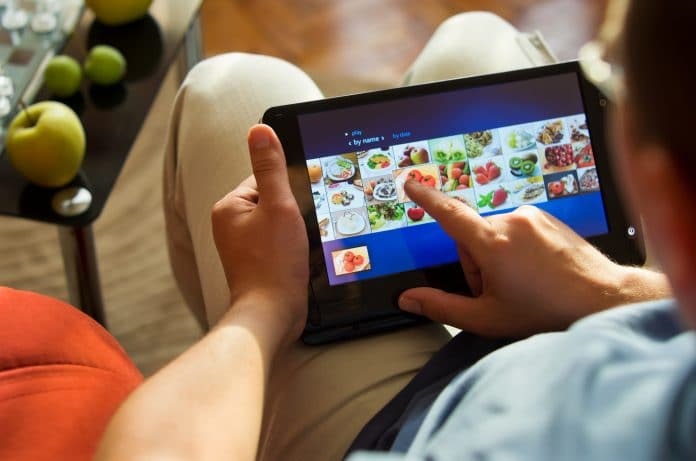 Tablets are wonderful devices that combine features of your personal computer with a compact structure that gives you much needed mobility. From taking notes to playing your favorite games or surfing the web, consumers have been enjoying Asus tablets for the past several years. The quality that Asus offers has drawn our attention, and so we have reviewed their tablets and come up with the ten best that Asus has to offer for today’s tablet users. 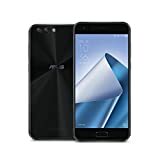 With this review, you will be treated to quick but informative reviews that can help you choose the best Asus tablet for your needs. How Did We Rate Them? How much quality do consumers receive for the cost of the tablet? The buying public should receive the most bang for their dollar. So we examine each tablet to see how much it can offer a consumer at a good price. What do customers who have already bought an Asus tablet think of their performance? There is nothing like a person’s experience with a product to help a prospective buyer figure out if the product will work for them or not. We examine all relevant information about each product, including structural quality, product functions and durability. Customer tastes will vary, so we want to make sure the features of each tablet are taken into account so you can make an informed choice. 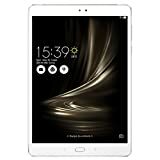 This tablet is lauded for its wonderful aesthetic qualities, so users who want a tablet that is great to look at cannot go wrong with the 3S 10. This model also combines security and user friendliness with its fast operating fingerprint sensors. Customers have also noted its fast battery recharge time. The 3S 10 is also offered in Titanium Gray or Glacier Silver models, giving consumers a couple of different colors to pick from. The screen is also manufactured with a 78 percent ratio of screen to the tablet’s body, so you get a lot of screen for the tablet you buy. Additionally, the rapidly operating hexa-core processor and 4 GB RAM are good selling points for gamers who are looking for a tablet. The vividness of the colors presented on screen is one of this model’s most vibrant features and make it a hit among many who have purchased it. You can definitely feel the difference in this tablet when you hold this tablet. This model offers a 2 GB RAM memory and a 4:3 ratio with a thin tablet width between your fingers. This is a good model for downloading and reading books, and coupled with its light weight, can be carried easily outside your home to whatever reading location you desire. Additionally, its RAM and processing speed also make it great for surfing web pages and playing back video. You can minimize internet windows and apps swiftly and easily. Two cameras come included with differing quality levels. The rear camera supplies the highest quality at 8mp while the front camera records in 5 megapixels. If you need to film a Skype call or a webcast, these cameras should be up to the task. Finally, consumers that are looking for more RAM do not have to worry. Users can purchase an S8 model with double the RAM at 4 GBs and 64GB SSD. This model is an Asus Tablet you will want to touch both front and back. The back of the tablet is made with a micro weave three dimensional covering which feels great to the touch. Asus offers a number of different colors for this tablet, including black, white, gray and pink, which provides a greater chance of finding a tablet that matches your tastes or personality. And with the ten point touch display for the screen, this tablet is another good choice for gamers. Combined with the touch display, the FHD 10 also has great visuals and superior sound. Users can select different sound modes according to their preferences. 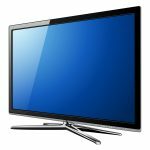 The High Definition screen also provides users with great streaming quality, which makes it a worthwhile option for Netflix, Hulu or Youtube viewers. The battery life is also strong, providing about ten hours of power that allows for hours of computer usage. 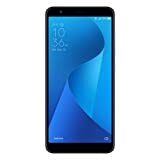 Consumers will find a tablet with great screen quality, fast processing performance and good speakers and cameras all within a durable physical structure. At a weight of a little over one pound, it is not as light as other Asus tablets. So this is an option if you prize a sturdy construction in your tablet. The ZenPad 10 can also handle large game programs, so gamers should take notice. And with its SD plug-in, users have the option to plug in additional memory to handle large files and keep the RAM operating at peak efficiency. The great sound is another big plus. Users can plug in their buds and enjoy great cinematic sound. Additionally, if you want a tablet that you can use a keyboard with, this tablet also comes with a Bluetooth connection that docks with an Asus Mobile Dock, though users should make sure that a Mobile Dock actually comes with the tablet, as some vendors may not offer it. Anyone looking for a tablet that combines elegant style and functionality cannot go wrong with this sleek ASUS Memo Pad. This tablet provides edges that are round to the touch and allow the user to grip it firmly. This tablet also comes with an Android 5.0 operating system and a hard drive memory of 16 GB, which makes it ideal for light usage. Customers have also testified that this tablet works well as a tablet for children. Users can enjoy this tablet for an average time span of eight hours before recharging. If you are looking for a basic tablet for a good price, this ASUS model is right up your alley. This tablet gives you great media playback on an 8 inch screen as well as quality web surfing and app downloading. Its small size also makes it great for people who want to curl up and read an ebook. While it comes with a memory size of 16 GB, users who want a larger storage capacity for their tablets do not have to look further than the SD slot offered on the tablet, which can support microSD cards with 128GB. This is a great feature for consumers looking for an affordable tablet with an option to boost its storage as opposed to a more expensive tablet with greater storage. Two cameras are offered, but each records in differing quality. Expect a 720p quality picture with the front camera. To get a higher quality 1020p picture, you will have to record with the tablet’s rear camera. 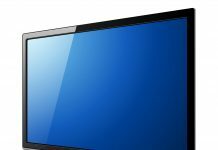 Finally, for an added treat, the Miracast option lets users stream audio and video onto a television or computer monitor for added enjoyment on a larger screen. 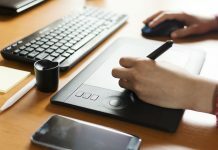 This tablet is a treat for graphic artists since it comes with a Wacom active stylus that allows you to draw on the screen or paint with digital colors. Though on the higher end of the price range for Asus tablets. 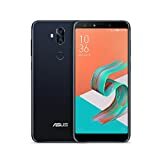 The Asus ZenFone 5Q is also among the less expensive options for Wacom tablets. Its thin build also makes it very hand to hold in your hand as you take notes, which makes it a great choice for users who feel more comfortable handwriting than typing and also want to store their notes in a digital format. Some consumers may be tempted to buy a tablet but still yearn for the sturdy texture of a keyboard beneath their fingers. This tablet offers the answer to that dilemma by providing a place to dock a keyboard. Although buyers should make sure that a keyboard is actually offered since some vendors do not sell the keyboard along with the tablet. The ASUS ZenPad 10 is also noteworthy for its good Wi-Fi reception, sturdy construction, fast processing performance and strong picture quality. While the tablet’s memory storage goes up to 32 GBs, a micro SD slot allows users to plug in an SDcard with additional memory. Although there is no USB port handy, users can still buy a USB/dock adapter and use that to connect the tablet to other drives or devices as they wish. Users have also found the battery life to be above average for a tablet of this type. Two cameras are included but with a wide gap between megapixel performance. The rear camera operates at 5 MP while the front only goes up to 1.2 megapixels. This tablet is made for the Verizon Wireless. So consumers looking for a tablet that is enabled with Verizon’s LTE Advanced service will find a good choice here. While Asus also offers a smaller Z8 tablet with Verizon software. This model provides a larger screen size at ten inches and greater storage space at 32 GBs. So this is the better choice if you want more space for your files and greater processing speed. The accompanying Verizon software includes Amazon’s Kindle software, My Verizon Mobile, Cloud, Message+ and IMDb. Consumers who want these apps preinstalled on their tablet will find this model a good choice. The ASUS E554KL also provides some of the best features of Asus tablets, with a thin width, fast processing speeds and cinematic sounds. The 8.0, like the S8.0, is another eight inch tablet with 2 GB RAM memory. Although this model offers a slightly larger screen than the S 8.0, with a 76.5 percent ratio of the screen to the body of the tablet, as opposed to the 74 percent of the S 8.0. 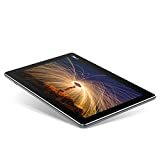 For its price range, the 8.0 offers consumers who are looking for an entry level tablet a solid device that can handle online browsing, displaying ebooks, streaming video from services like Netflix and Hulu, and allowing you to play games like Minecraft. Users also have the option to plug in an SD card, but the port is not visible. You will have to remove the back to uncover the slot, which offers additional security for the port but may be a little confusing if you do not know where to look. So How Do I Choose My Asus Tablet? Now that you have read through this list of the ten best Asus tablets, how do you pick the one that is right for you? Anything that you value in a tablet can be a deciding factor. You might prioritize the tablet’s battery life, screen size, durability of the tablet, the size of the tablet itself, or just how the tablet looks to your eye. If you're still looking for other options, you may also check out this review. Take a careful look at all the features and accessories a tablet has to offer. The right tablet for you may even possess features you don’t even know you’re looking for. So best of luck with your tablet search and enjoy your purchase!